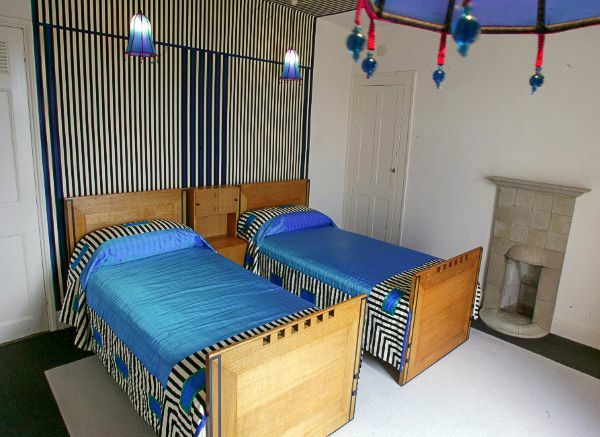 78 Derngate is a masterpiece of Modernist architecture, remodelled by Charles Rennie Mackintosh from an early 19th-century terraced house. In 1916 Mackintosh was called upon by WJ Bassett-Lowke, owner of the property, to undertake a major program of refurbishing and decorating the property. 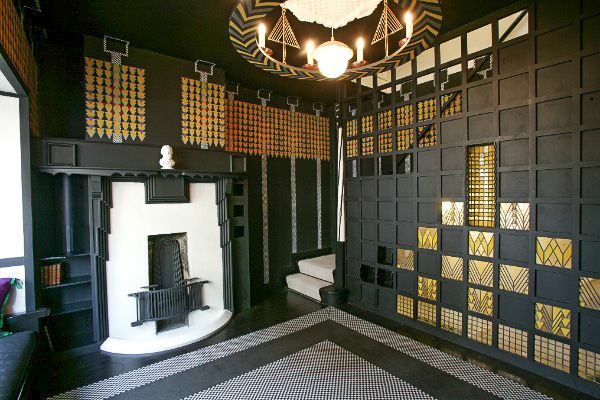 This he did, so brilliantly that 78 Derngate has been called his most significant work after leaving Glasgow. Strangely, Mackintosh never visited Derngate during the remodelling; all his work was done by letter and by arranged meetings with the owner in London. 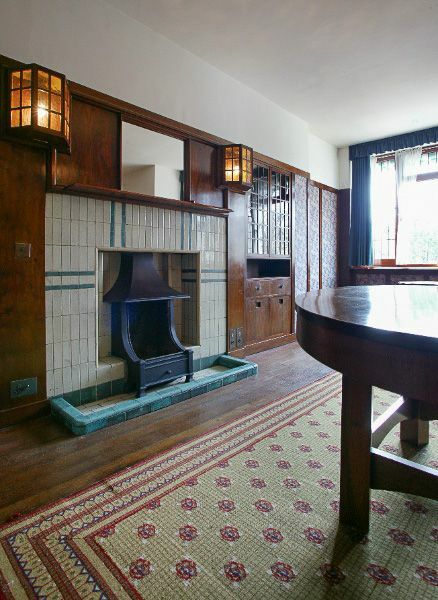 Not only is 78 Derngate Mackintosh's only house in England, it was his last major commission before his death in 1928. Mackintosh's patron was Wenman Joseph Bassett-Lowke, a successful manufacturer of toy models. Samples of his model collection are on display on the upper floor. 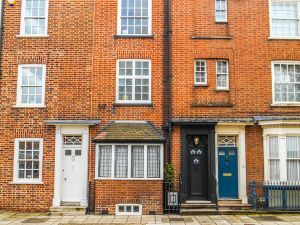 78 Derngate is a brick house built around 1815 by William Mobbs as an investment property. It was re-decorated and extended by Macintosh in 1916-17. The Bassett-Lowkes occupied it as their main residence until 1926 when it was sold or let to a succession of private tenants until 1964, when the Northampton School for Girls took over the property but when the school decided to sell it in 1996 it was purchased by the Borough Council, who, in turn, leased it to 78 Derngate Northampton Trust to restore and operate as a museum and exhibition space. The upper floor is given over to a free gallery showcasing some of the best in modern crafts. The main visitor entrance is through the houses next door, 80-82 Derngate, where you will find a visitor reception area, and access to a gift shop and restaurant. Your visit begins with a short film about the restoration of the house. 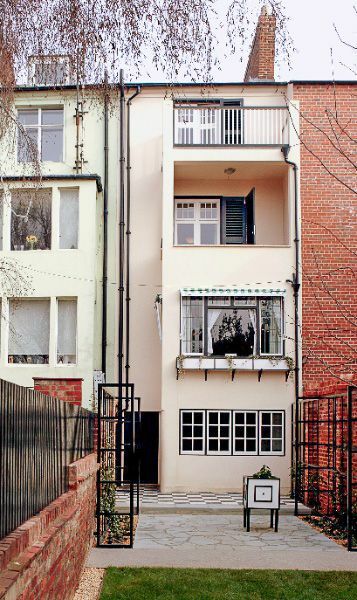 Then you cross over between the 2 houses and enter 78 Derngate at ground floor level, where you will see the kitchen area, accented in pale green. Then you mount up the stairs, rising up through the family rooms and bedrooms to the top floor, where you re-enter the house next door and descend through an exhibition area. For us the real charm of the house is in the architectural detail; the flower motifs that MacIntosh favoured are present, but geometric motifs are more dominant. They form strong dark and light lines and clean, ultra-modern shapes. Nowhere is the sense of drama more obvious than the guest bedroom, with a pair of twin beds side by side, accented in purple, with striking, almost dizzying black and white stripes decorating the ceiling and walls. This is a house you will not forget in a hurry! 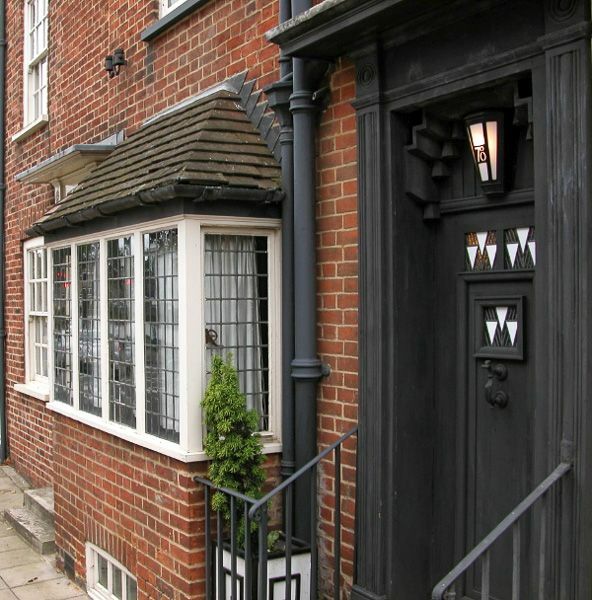 78 Derngate is a past winner of the Best Small Visitor Attraction in England, awarded by Enjoy England. Location: Discounted entry for English Heritage members.